The Statue of Liberty was presented to the United States by the people of France in 1886. Standing on Liberty Island in New York Harbor, it welcomes visitors, immigrants, and returning Americans. Read more. The Statue of Liberty, New York City and Geometry, Shapes, Size, Position, Measurement. Etching of The Statue of Liberty, New York City and Geometry. Statue of Liberty and Delaunay Triangulation. 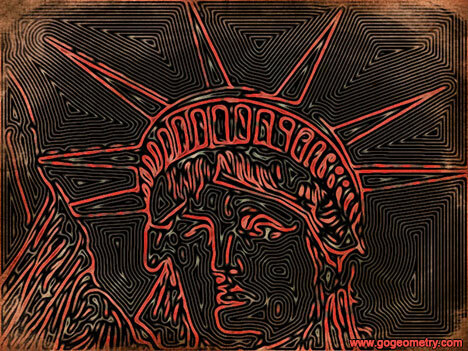 Isolines illustration: Statue of Liberty, Geometric Art. Statue of Liberty and Delaunay Triangulation, Face.